‘Thank a Vet’ Veterans ID Discount Program in cooperation with Jesse Putnam, Director of Veterans Affairs and the Lawrence County Commissioners. 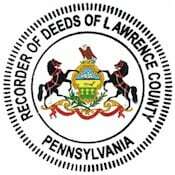 This program provides a photo ID, free of charge, to Veterans who have their honorable US Military Discharge filed of record in the Lawrence County Recorder of Deeds office. The ‘Thank a Vet’ Veterans ID Discount Program is a way for our local business leaders to express their gratitude and recognize the service and sacrifices made by our men and women in uniform. Participating merchants agree to honor and reward our Lawrence County heroes by providing a special discount toward purchases or services when presented with the ‘Thank a Vet’ Identification Card. Veterans can come to the Register and Recorder’s Office at the Lawrence County Courthouse during normal business hours to get there photo ID. US Military Discharge must be recorded. (If not, bring original US Military Discharge to be recorded) or Active US Military ID & a photo drivers license. This will also be a way to promote our outstanding local merchants who participate in the ‘thank you’ program, and whose sponsorship and participation will be proudly listed on our Lawrence County website at: www.co.lawrence.pa.us. Veterans will receive a list of all participating businesses offering discounts. Thank you for supporting those who keep us safe and fight for our freedom. 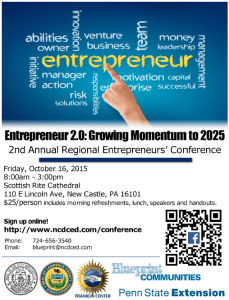 The City of New Castle’s Department of Community and Economic Development (NCDCED), in partnership with the Franklin Center of Beaver County, Inc. and Penn State Extension, announces the 2nd Annual Entrepreneur Conference. 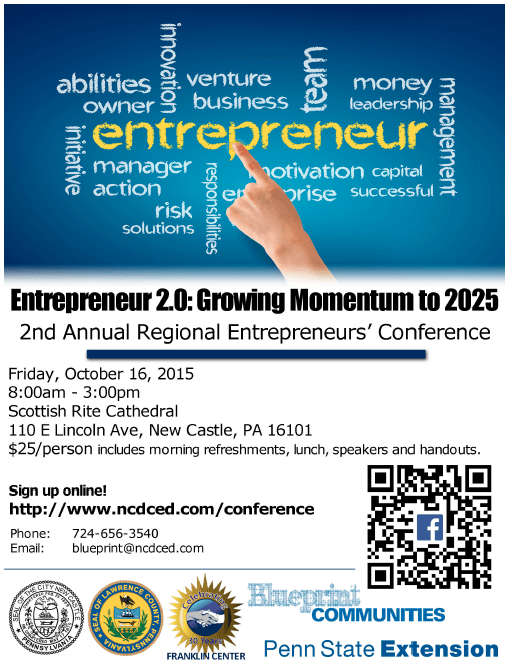 The conference will take place Friday, October 16, 2015, from 8AM to 3PM at the Scottish Rite Cathedral (110 East Lincoln Avenue, New Castle, PA 16101). We also welcome Mr. Joe Seminara, founder and owner of the Pizza Joe’s franchise, serving as our Keynote Speaker to share his story. The conference is open to everyone regardless of location. We want to attract a diverse audience from the region consisting of new/emerging entrepreneurs, established entrepreneurs, Government officials, economic development practitioners, not for profit personnel, consultants, business managers, lawyers, educators and executives/CEOs. Cost for the day’s event is $26.62 (includes $1.62 online processing fee) and includes morning refreshments, lunch, speakers and handouts. As part of the Blueprint Community Initiative, we embarked in a long-term strategic plan to revitalize the City; part of which includes tools, such as this conference, providing resources for the entrepreneurs of today and of tomorrow. Additional sponsors include the Blueprint Community Initiative and Lawrence County Commissioners. For more information, contact Matt Staniszewski at 724-656-3540. You are invited to experience a day of outdoor adventure and education in Lawrence County and learn about what is being planned for the future. 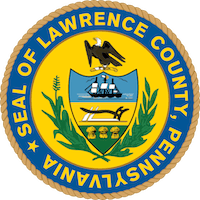 The event will include scheduled outdoor activities at various locations as well as indoor public input sessions at Butler County Community College, Lawrence Crossing Campus. More details regarding the activities will be coming, but for now, SAVE THE DATE! Get on the trail. Walk, run or bike the Stavich Trail. Get connected. See and hear proposed County plans and initiatives. Get on the Water. Paddle the Shenango River. Get out in nature. Learn about the West Park Nature Center. Get healthy. Meet some of your local farmers and food sources. Get involved. 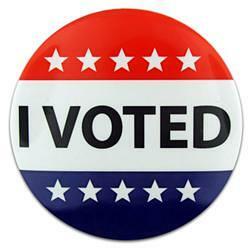 Provide input into your County’s future.